Five brothers. A murderer. A houseful of animals named after Greek heroes. A piano. An immigrant. A racetrack. A mattress in an empty field. A jockey. A clothespin. A book. A bridge. How do all of these things come together? 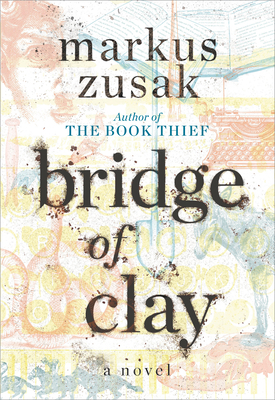 In a breathtaking story that only award-winning author Markus Zusak could write. Elegant and thought provoking - each sentence is a piece of a mosaic rather than a complete picture in itself and only thoughtful reading can bring it together. It was exceedingly lovely and made you think hard about what it was trying to tell you.